This is a bookish, romantic story full of Parisian life, fabulous in its pleasant pace and cast of laid back characters. I can almost see myself sat outside a café in the sun, reading this whilst drinking a coffee and smoking a cigarette. Even though I don’t partake in either of those vices anymore I think I’d like to take this book to Paris and at least try them again for one day. 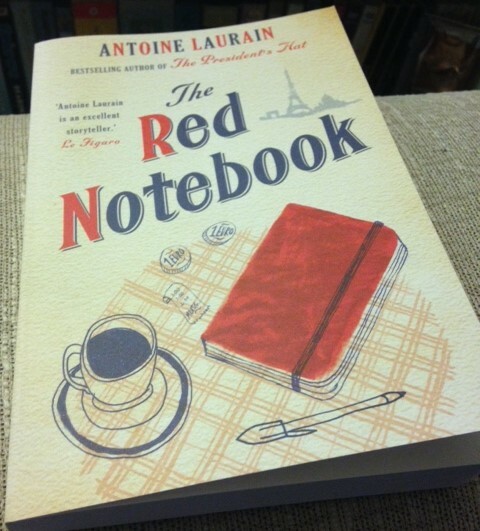 Atmosphere, love and surprise, The Red Notebook has all the right elements for my favourite kind of story. A very entertaining read. Recommended.